Weight gain is caused by consuming more calories than you burn. 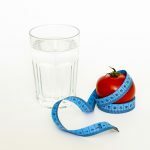 The number of calories consumed depends on your diet choices, and the number of calories you burn depends on your baseline metabolic rate (the calories you burn in a day simply by existing) and exercise. If you consume 500 fewer calories than you burn, every day for a week, you can expect to lose 1 – 2 pounds. If you follow this guideline for a month, you could lose up to 10 pounds! Research has shown that the combination of a nutritious diet. and regular exercise is the healthiest and fastest way to lose weight. However, simply consuming fewer calories than you burn will result in weight loss. How much exercise is required to lose weight? 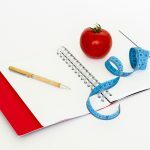 If you want to shed pounds, take a look at not only the calorie content in your favorite foods but also the amount of exercise that’s required to work them off. In a recent study from the Texas Christian University, researchers compared which would result in customers making the healthiest choices—a regular menu, a menu with calories listed beside each meal or a menu including calories as well as the amount of brisk walking needed to burn off the meal. It was found that the third group, who was aware of the calorie content as well as the exercise required, ordered and ate less food than either of the other two groups. So let’s take a look at the exercise required to burn off some typical American foods, plus a healthy alternative. At a typical dine-in restaurant, a cheeseburger with a side of French fries rings in at 1,138 calories and 78 grams of total fat—which will take over six hours of brisk walking to burn off, or almost three hours of jogging at five miles per hour. Even the ice cream that you might eat mindlessly as a snack or small dessert would necessitate a 4.5 mile jog to burn off. Unfortunately, salads are often not a healthier alternative than the burgers at restaurants. An Asiago Chicken Caesar salad contains 1,060 calories and 81.8 grams of fat—that’s over five-and-a-half hours of brisk walking, or over two-and-a-half hours of jogging. This salad will still cost you a half marathon of jogging to burn off! If you’re looking for something on the menu that doesn’t necessitate marathon training, try soup or a salad that doesn’t have a lot of meat and cheese and order dressing on the side—a Caesar dressing alone is 349 calories, costing a 53-minute jog. Better yet, eat at restaurants with healthier options or prepare food at home. A simple chili made with quinoa, beans and vegetables is only 227 calories with four grams of fat, which would only require about an hour of brisk walking or 35 minutes of jogging—that’s less than just the dressing on the Caesar salad! And the best part is that this meal will leave you feeling full because of its high fiber content while also providing you with essential nutrients and vitamins to keep you healthy and fit. For a high fiber snack, supporting a healthy liver diet, find out more about Amsety Bars. You don’t need to burn off every food that you consume because your baseline metabolic rate causes weight loss without exercise. However, if you’re trying to lose weight it’s important to choose low-calorie options. Find out what your base metabolic rate is, track your calories, and find out how much you should be exercising by using a fitness application such as My Fitness Pal. To lose weight by exercising less, choose lower calorie, more nutrient-dense foods like Amsety Bars.